Petite Impact: Werkshop Gothica Collection! How is it already Friday again?! I finally placed a small order to Lululemon and another to Athleta. Will have some reviews up soon. Werkshop just announced their new Gothica collection just in time for Halloween! If you're new to Werkshop, you can receive $15 off your first order with my referral link. Which one is your favorite pair? I'm digging Moth and Raven the most. All four come in full length and crop. Since fall/winter is coming (Game of Thrones, anyone?) I'm thinking full length will be more appropriate. 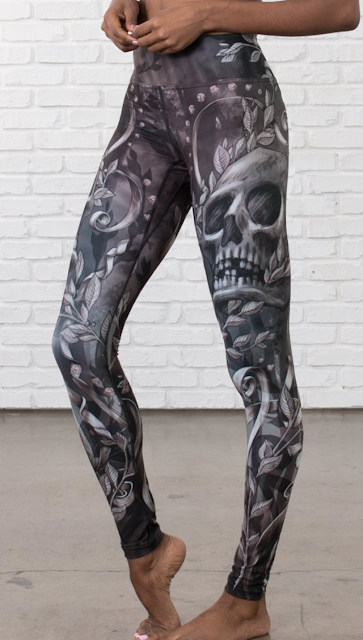 I haven't ordered a new pair of Werkshop leggings in a long time. Maybe I'll order both and decide after. Always a good plan, right? Hope everyone has a great weekend! I don't have much planned thank goodness. I hope to get some R&R in. It is much needed. I always feel like the days blur and I can't keep track anymore! I like Raven best then Gargoyle. 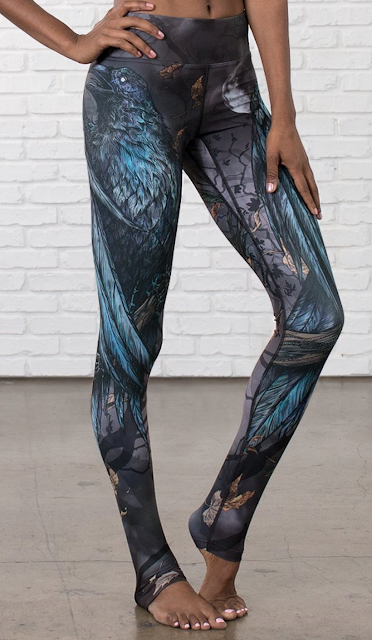 I would only wear Gargoyle for Halloween though because I am not very brave when it comes to wearing bold leggings. I'm still deciding, sometimes I lean towards the Moths, then the Raven. Bold leggings are a lot of fun and most of them time people will comment how cool they are. For me Gargoyle and Moth - also debating the Hexen (Blue with foxes) from the summer. The artwork is fantastic. I think this collection is more wearable as casual. I agree their artwork is pretty amazing. 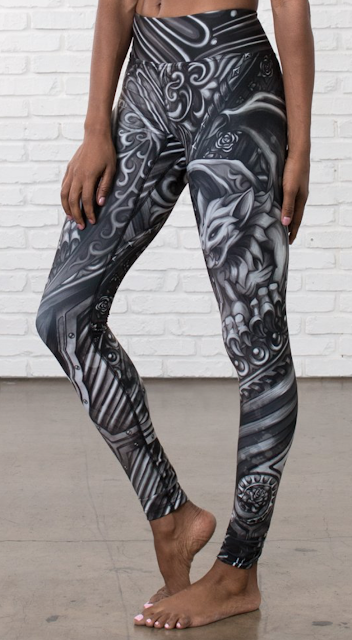 Let me know if you end up getting a pair!